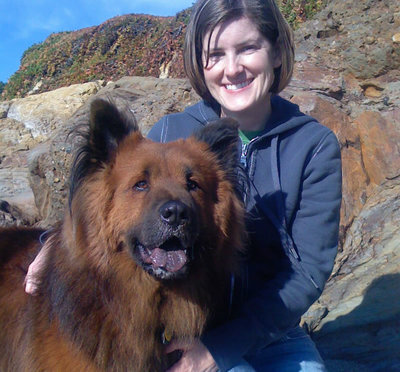 We first met Rocco on a cold January day at the San Francisco Animal Care and Control shelter. His fluffy, cinnamon-colored coat, large black ears and wagging tail, caught our eye. We fell for him that day, but it took us three more weeks to finally make our decision. He was so big! What are Chows like? Will he be good with kids? We consulted our parents, friends, the shelter staff and strangers. We needn’t have worried. From the day we took him home, he has been a joy and an amazing addition to our life. I can’t even imagine not having him!